Cucumber is a classic facial care. 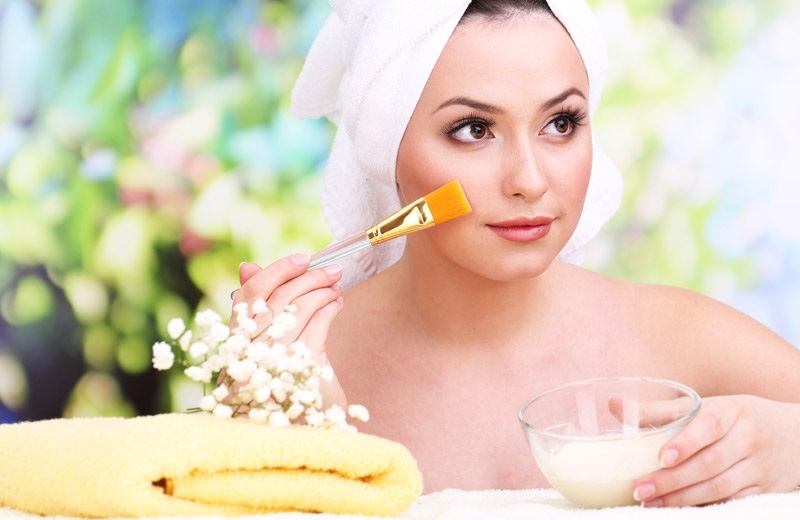 You can draw a mask to revitalize your skin or prepare a moisturizer to use all its properties. The creams usually we acquired in beauty stores usually have pretty high prices, and sometimes, its composition has certain chemicals that often we can cause allergies. A simple and practical way is undoubtedly develop ourselves our own masks with all natural products. It only requires that you have a little time to devote to them and be consistent in its application. At the end of the day many of the creams usually bought to treat wrinkles contain itself, elements that are readily available, such as avocado, argan oil, honey … And we know that the skin is very delicate and requires a lot of care, proper nutrition, adequate rest at night and a right treatments can help reduce those wrinkles that usually appear by the passage of time. We give it some simple guidelines for you to work your own homemade masks. Contains essential fatty acids thus is also very suitable not only wrinkles, but also for dry skin. Avocado is rich in phyto chemicals that help protect us from free radicals. It contains folic acid and vitamin C, B6, A and E, basic health and skin beauty. 1) Its simple, cut the avocado and remove the bone from the center. Remember that we will use only the half: then put it in a bowl and go crushing its pulp with a fork. 2) Go adding olive oil and continue stirring until you get a smooth and attractive green cream. They try not smooth. 3) This mask is very suitable for use at night. Apply it with your fingers and see doing a massage to go absorb gradually. Leave it on your face for 20 minutes, and then take it off with fresh water. If you make at least three times a week in the long term you’ll notice the benefits in your skin. Carrots have large “cosmetic” properties due to its concentration of beta-carotene and antioxidants, basic to combat the signs of aging, and to protect our skin against external aggressions such as UV rays. Certainly a great ally for wrinkles. Wash and peel the carrots, then cut them into pieces and take them to a blender or mixer for your well blended. Now add the juice of half a lemon and three tablespoons of natural yogurt, this will help us to obtain a paste thick enough for our mask. Apply it with a massage at least twenty minutes, either in the afternoon or at night. Then take it off with fresh water. You can wear it two to three times a week; if you are consistent you will gradually see their improvements. The skin will be cared for protected and nurtured. Moisturize: It is a great for the skin thanks to its high water content and vitamin E. remedy Its moisturizing properties are excellent, protects us from the sun and cares for us. It’s perfect for those days we have the tired face. Relax: Thanks to its relaxing, perfect properties is certainly great swellings and dark circles. Tell you that this mask is perfect for those days when we got tired, with swollen eyes and bad. The cucumber and chamomile act as revitalizing, so do not hesitate to prepare those days when you look bad in front of the mirror. Start peeling the cucumber, then go cordon into small pieces. Now we preparing chamomile tea, heat a cup of water and, when it boils, leave it there a few chamomile flowers. Let cool infusion, then, mixed with chopped cucumber. It’s time to bring this mixture to blender. Try it becomes a mixture homogenates. Take him to the refrigerator and let the mixture there ten minutes, thus will be fresh when you apply on the face. Keep the mask at least 20 minutes on the face, make you feel good, you will clear and revitalize the skin in those days we got more tired. It is an excellent remedy. Begin mixing the ingredients in a container that allows you beat well, since water and oil must fight too. When oils and cucumber puree are well blended, pour the cream into the bottle ready to use. You can begin to apply yourself and cream. Hair Loss, What To Do?